Sisters Jo and Alison head up the Parsonage Farm in Wiltshire with a little help from their father. It is a real family affair and has been for almost 800 years! The Parsonage farm dates back to the 13th Century, and had been handed down through the generations for over 800 years. With a family of three sisters, it is down to Jo and Alison to keep the tradition going as their father nears retirement age. Jo and her fiancé have also got a company called The Traditional Beef Company which Sells a variety of amazing beef products online and only uses meat from The Parsonage. It really is a family affair, and one that looks set to continue for some years to come. 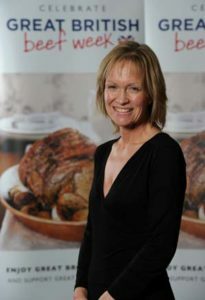 Jo and Alison have also become champions of Ladies in Beef which was co-founded by two beef farmers, Minette Batters and Jilly Greed, who hold a passionate belief that the general public has a right to know about the people producing their food, the exacting standards, and the high quality and care that these farmers maintain.